Want to have a Thai drivers license? 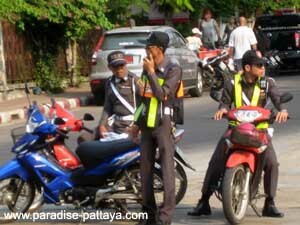 To obtain a Thai driving license you to have to be in good health without mental or physical handicaps. can apply for a Thai drivers license. If you have the above mentioned documents you do not need to take a driving test or the written exam. You will have to pass the teats listed below. After passing these simple tests you will be provided with a "temporary / provisional Thai drivers license" with a validity of one year. If you do not have an International and a valid driving license from your home country you are required to take the driving and written test. A drivers license in Thailand is obtained at the Department of Land Transport Office. Some offices in Thailand offer the exam in English but in most offices they are in Thai. If the examiner permits you may be able to bring a friend to interpret (or an interpreter) who can help you during the process. You may also have to attend a seminar, maybe watch a movie which is in Thai also. It is a good idea to bring 2 photocopies of all documents needed. A letter from a doctor certifying you are in good health mentally, physically, and you are fit to drive. Issued within the previous 30 days. The "written test" is usually done on a computer typing machine and has 30 question. You pass when you answer 23 correct. The driving test is usally only driving around the parking lot, reverse parking, signaling, and that should be it. Renewing a Thai driving license is only renewable after it expired. ( Go the day after the expiration date ). Fees may change. Bring 1000 Baht and you will be okay. Just in case you forgot something and need to pay for copies or photos.